Birmingham City have offered defender Paul Robinson a new contract until the end of the season, despite their current financial problems. Blues are currently open to offers for any of their first-team players, as they look to reduce their wage bill. However 34-year-old Robinson, whose current contract ends on Sunday, has been offered a new deal at St Andrews. 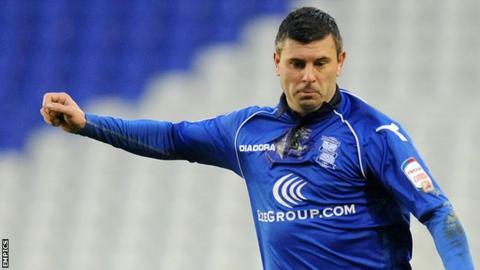 Former West Brom and Bolton defender Robinson has made 21 appearances for Birmingham since joining in September. "I've been delighted with Paul both on and off the pitch, but we are where we are financially," boss Lee Clark told the club website. "We'd love him to stay but it's up to Paul and his advisor now whether they accept the offer." Birmingham have admitted they are seeking new investment from external sources, after failing to publish their financial figures for the past two seasons. Last week they released Senegal international midfielder Papa Bouba Diop after his contract came to an end for "financial reasons."